U.S. Ambassador to Mexico Roberta Jacobson speaks during the groundbreaking ceremony for the new U.S. embassy, slated to cost nearly $1 billion, in Mexico City, Tuesday, Feb. 13, 2018. The U.S. ambassador to Mexico, Roberta Jacobson, is resigning from her post this spring amid strained relations between the two countries and on the heels of other notable departures from the State Department. In a note sent to embassy staff Thursday, Jacobson wrote that her resignation takes effect May 5, which is two years to the day after she was sworn in as ambassador. "After more than thirty-one years of U.S. Government service, I have come to the difficult decision that it is the right time to move on to new challenges and adventures. ... This decision is all the more difficult because of my profound belief in the importance of the U.S.-Mexico relationship and knowledge that it is at a crucial moment," Jacobson said. She did not say why she made the decision, but tweeted later in the day that she is leaving "in search of other opportunities." U.S. Undersecretary of State Steve Goldstein said Jacobson informed Secretary of State Rex Tillerson of her plans to retire in January when he visited Mexico. She agreed to stay on until May to help ensure a seamless transition at the embassy, Goldstein said. Mexico's Foreign Relations Department said in a statement that Tillerson had told his Mexican counterpart, Luis Videgaray, of Jacobson's resignation Feb. 17. It said three days later, it received an official request to approve the appointment of a new ambassador, which it granted Monday. The statement added that it is up to Washington to make public who will be nominated as the new ambassador. Diplomatic ties between Washington and Mexico City have been strained amid U.S. President Donald Trump's tough stance and sharp rhetoric on migration and trade as well as his repeated vows to build a border wall and force Mexico to pay for it. The two countries and Canada are currently in a seventh round of talks in Mexico City on renegotiating the North American Free Trade Agreement. "I think in a very difficult situation in the bilateral relationship; (Jacobson) was doing stellarly," said Jorge Guajardo, a former Mexican diplomat and senior director at McLarty Associates in Washington. 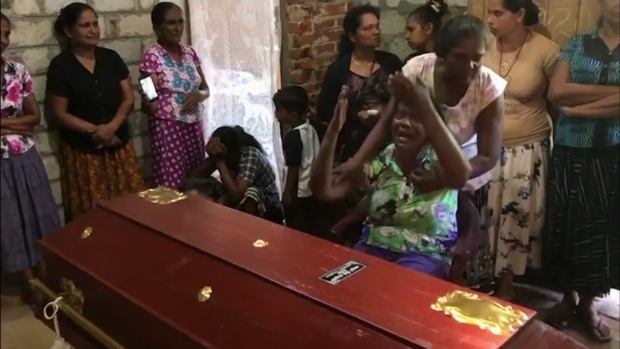 "She was just focusing on what could be achieved, not getting into the noise of the relationship, actually just focusing on bringing the two countries together. So I think she'll be missed." Jacobson previously served as assistant secretary of state for Western Hemisphere affairs and in numerous other posts and is seen having a deep knowledge of Latin America and especially Mexico. After the December 2014 shock announcement that the United States and Cuba would re-establish diplomatic relations after decades of enmity, Jacobson spearheaded negotiations with Havana — something that irked Cuban-American lawmakers and led to a long delay in her Senate confirmation as ambassador to Mexico. 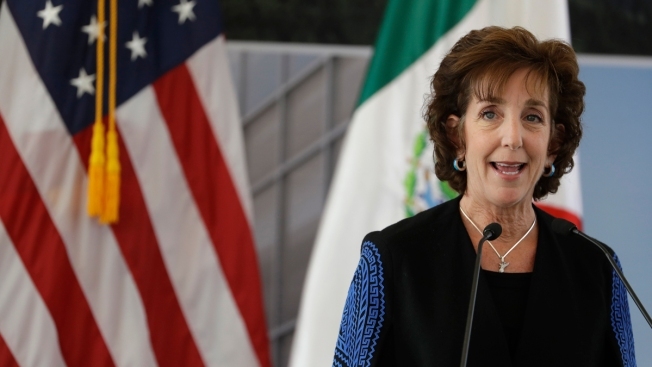 Jacobson is the United States' first female ambassador to Mexico. During her tenure in the country, she has taken special interest in and spoken frequently about issues such as violence against women, human rights and the killings of journalists in the country. Two years straight, she marched in Mexico City's Pride Parade. 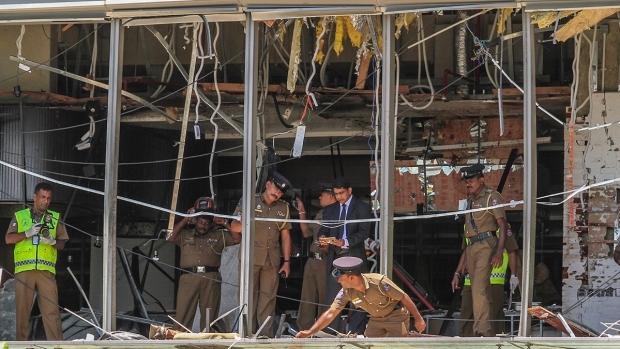 And after a deadly earthquake last September, she accompanied a U.S. rescue crew to the site of a collapsed office building in the capital where dozens of people were killed. Jacobson tweeted Thursday that she will leave "with Mexico in my soul and in my heart." At a time when distrust of the United States is high in Mexico, Guajardo said Jacobson is viewed warmly by Mexicans. He added that she has used social media effectively to communicate with Mexicans, posting images from her travels across the country that were relatable and "always showing her appreciation for our culture." "At the same time, you would see her speak up every time a journalist was killed in Mexico. She would speak up and she would call the authorities into accountability, asking them to get to the bottom of things," he added. "So she knew how to raise her voice when it was needed." In early February, Tom Shannon, the State Department's top career diplomat and another official with extensive experience in the Americas, announced that he would retire as soon as a successor for his post was chosen and ready to fill the job. Joseph Yun, the special envoy for North Korea, announced this week he was retiring effective Friday. Another veteran diplomat, Ambassador to Panama John Feeley, announced last month he is retiring in mid-March. Tillerson had asked both Yun and Shannon to stay on. Guajardo said it's important that Jacobson's replacement be someone who has both the ear of Trump and a deep understanding of the Mexico relationship. "I think the feeling in the White House is that Mexico is expendable," he said, "and I hope that whoever the new ambassador is has the ability to transmit to the White House the importance of the bilateral relationship." In its statement the Mexico's Foreign Relations Department acknowledged Jacobson's "diplomatic commitment" to Mexico and the Americas and expressed gratitude for "her outstanding work in constructing a frank and open relationship between the governments and people of Mexico and the United States." Her former boss as secretary of state, John Kerry, tweeted that Jacobson has been "respected on both sides of the aisle and across our hemisphere.